Today I am going to answer one of the most asked questions by new dog parents, which is, how to teach a dog to sit? Why it is important to teach dog to sit and stay? One of the most popular family pets in the world, dogs offer unconditional love and affection, endless hours of entertainment, and are a great addition to any household no matter what shape or size. Becoming a member of the family, a dog is truly a man’s best friend. But even a best friend needs to understand rules and boundaries. No one expects a family pet to be a show dog or even be 100% obedient. Let’s face it… after cleaning up the mess, we all find it a little hilarious when a dog covers the hallway with the toilet roll, or is caught playfully pulling out the fluff from one of the sofa’s cushions. Dogs will be dogs, but to make sure not everything in your house is destroyed, training your dog is vital. The first step is simple… teaching a dog to sit and stay is the basis of creating an obedient and happy relationship between you and your pet. Let’s see how to train a dog to sit and stay. Dogs are very similar to children in the way they learn new things and push the boundaries to see what they can get away with. The most important thing you need to remember before you start training your dog is that it will only react to attention and praise. 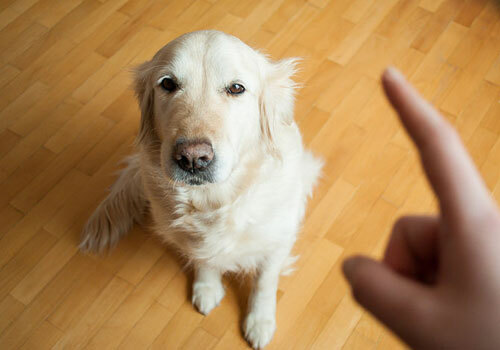 Shouting at your dog or using force will most likely create a disobedient and frightened pet. Also, start training your dog in a space that it is comfortable in, such as your home. 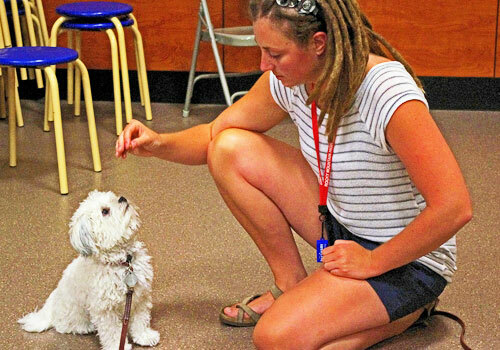 A familiar environment, together with a daily routine, will give your dog more confidence and encourage obedience. Once your dog has become confident with the “sit” command in your home, try more crowded places, such as a busy intersection or a designated dog park. As we all know, dogs get easily distracted. Keeping your training sessions to a maximum of five minutes will be a more effective way of teaching dog to sit on command. It is very easy to integrate your teachings with your daily routine by simply getting your dog to sit before feeding him/her, before you open the door to go to work or for a walk, and before it is allowed to join you and the family on the sofa. This consistency will have your dog sitting on command in no time! The more fun you are having training your dog, the more that your pet will want to do it for you! 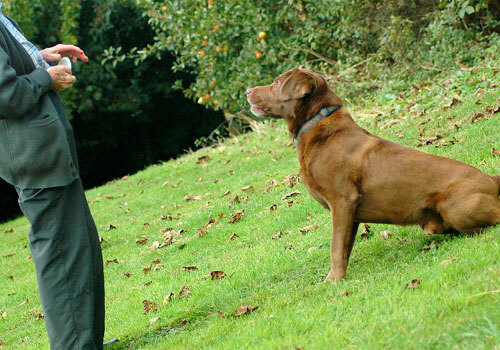 There are multiple techniques, that can be used to teach dog to sit, and every animal professional will have their own version. Remember that no one knows your dog better than you do. Therefore, choose the technique that will work best for you, your dog, and your everyday routine in order to achieve the best results! A very easy way to begin training a puppy to sit is by simply saying the word “sit“ in the act of them doing so. Be sure to say the word in a clear and firm tone exactly when your dog is about to sit. As soon as its bottom hits the floor, award your dog with lots of praise, attention and cuddles. The timing is very important in this technique as it relies on your dog associating the action of sitting with the spoken word, “sit“. This technique is particularly useful for a new puppy, as it introduces them to the notion of obedience without making it seem like a ‘lesson’, or a chore. Once you’ve caught your dog in the act a few times and you can see that he/she is reacting to your praise, try saying “sit” at any given time, and watch your pup put its bottom to the ground and relish all the love that follows! Watch the following video demonstrating ‘sit means sit dog training‘ technique. The most common technique, and one that most veterinarians teach at puppy schools, uses a hand over the head method to encourage your dog to place its bottom on the floor. Although it may sound hard, it really isn’t! Firstly, grab a small handful of treats and kneel in front of your dog. You should be just above eye level of your dog, so that you maintain a more dominant position. With the treat in your hand, hold it a few centimeters above your dogs’ head, enough that he/she cannot get to it but not too far that would encourage them to jump up. By slowly moving your hand over your dog’s head and towards its rear, the dog will follow and automatically sit its bottom on the floor. As you do this movement, say the word “sit” in a clear and firm tone. As soon as your dog’s bottom hits the floor, give him/her the treat and praise it by saying, “good boy/girl” together with lots of pats and cuddles. Here is another common technique that explains how to train your dog to sit and a good one for those who walk their dog often, this ‘on-the-leash’ method might work better for you. This is also a great second option to try if you have been unsuccessful training your dog using the previous techniques. 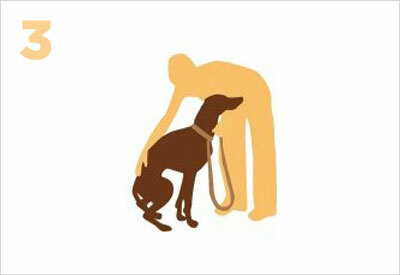 When walking your dog, come to a stationary position and stand side-by-side with your pet. 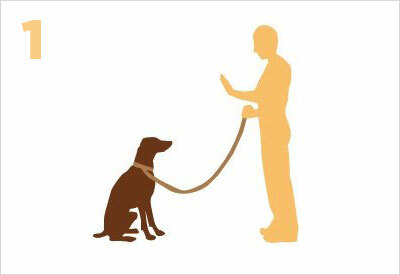 While holding the leash straight up and directly above the dog collar in one hand, use your other hand to gently press down on your dog’s back. The sweet spot is right between your dog’s two back legs. As you gently push down with one hand, say the word “sit” in a clear and firm tone. Once your dog is in a seated position, give him/her an abundance of praise and a treat if you have one. After conducting regular ‘on-the-leash‘ lessons, your dog will sit without you needing to push on his/her backside. Your walks will be a lot more graceful and relaxing, and it will be a great way to control your dog while near busy roads or if it doesn’t get along with other dogs. My Dog Won’t Sit. What to Do Next? 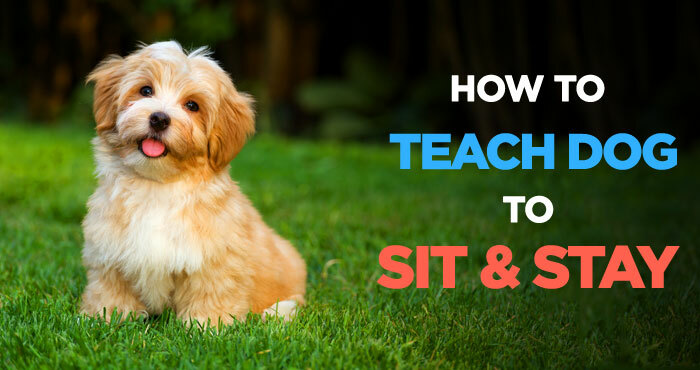 Knowing how to teach a dog to sit is one of the most basic and simple tricks you can learn to master. Most dog owners will experience success when training their dog to sit as long as certain elements are strictly followed, in particular, praise and repetition. Also known as “proofing” your command, it is very important to ask your dog to sit on a regular basis and in every situation where you expect your dog to behave accordingly. Also practicing the “sit” command in a variety of situations early on in your training, will also teach your dog not to get distracted. Environments where you should frequently practice this command include busy roads, in dog parks, and when there is a big crowd of people in your home. Your dog will soon become aware that no matter what is going on around them, if you ask him/her to sit, this is what you expect of them. Don’t be discouraged if it takes a little longer to train your dog than you expect, or if after a couple of months your dog starts disobeying you. This is not uncommon. Be persistent with your training. 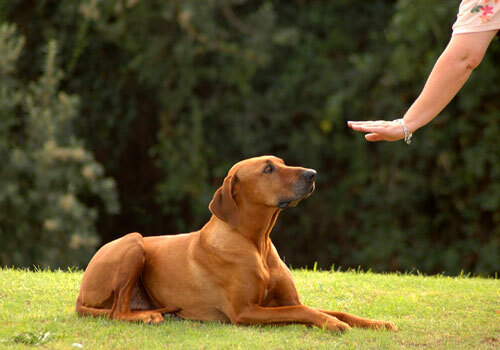 Maintain a clear and firm tone, and only treat or praise your dog when it does what you command. Like learning to walk as a baby, teaching a dog to sit takes time. Have faith and repay the love and affection that your dog gives you, and you will most certainly have a friend for life! As with everything, there are a number of things to avoid when training your dog to sit. I mentioned a few earlier, but I want to reiterate these as they are very important and will ensure that you maintain a healthy relationship with your dog, and have an obedient pet that will become part of your family. Do not use force during training sessions or when asking anything of your pet. Dogs, as well as other animals, will only respond positively to praise, attention, and treats (of course!). If you use force on your dog, you can expect that it will become frightened and/or aggressive. Do not yell at your dog. Similar to using force, a dog will not react well to being yelled at. By simply not praising your dog when it doesn’t do what you ask, will be enough to make the dog aware of what it has done wrong. Words and phrases that you can use include, “no” in a soft but stern voice, or “Oops! Let’s try again“. If using a leash to train your dog, do not pull on it. This will not teach your dog anything about obedience, and may cause harm to your pet. Do not get frustrated or angry on your dog. Animals are highly sensitive to emotions and will not be willing to participate if you are giving off bad energy. Don’t make training your dog feel like a chore. The more fun you make it, the more obedient your dog will be. 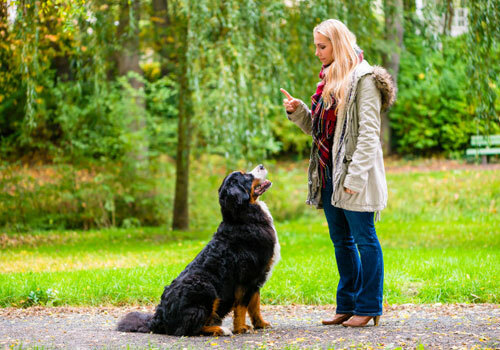 Although training your dog to sit can be good for the whole family to get involved in, it is best to keep the number of people to a minimum, particularly when you progress from the “sit” command. Consistency is a crucial element of training your dog, and success will rely on this repetition. Dogs are one of the most loyal companions that a man can have. You need a lot of patience to learn how to teach a dog to sit. Training your dog to sit and stay is just one small part of a friendship, relationship, and partnership that will last for many years to come. It will also save you from public embarrassment as you’ll avoid hastily chasing after your dog in the park. It will save you from the countless apologies that you’ll have to give if your dog jumps on top of every person that walks in your front door. And, it will also save you from endless hours of cleaning up after your pet when it knocks every glass, plate or bowl out of your hands. Training your dog isn’t something to dread but an opportunity to have fun and be responsible for creating a beautiful animal that will love you, and your family, unconditionally, forever. I think luring is the most effective way to teach sit, especially because it’s usually the first thing to teach a new puppy. I don’t think dogs enjoy having their butts pushed down like in the third technique, but they do enjoy following a treat! 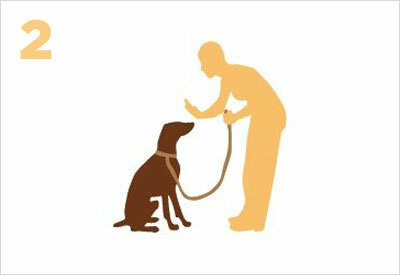 A hand signal is another good addition to the lesson, great for if you need your dog to sit when you’re in a noisy area. You mentioned that there are multiple techniques, that can be used to teach dogs to sit, and every animal professional will have their own version. Are there certain techniques that work better for certain breeds of dogs? My wife brought home a husky puppy that definitely needs some obedience training. Finding a professional to help train our new dog might be a good option. We mentioned few techniques in this article that you can try. Yes, some techniques work better than other, but it depends on dog breed, age, and experience level of the trainer. You can start training basic command at home, but I would highly recommend you to hire a professional for advanced training. Learning to be patient with your pet is probably the toughest part of the job. Just be patient, and don’t be too hard on our dog! All of the time and patience we put in now will help the bonding we have with our dog stronger!